As Salam O Alaikum everyone. I have made this thread to share my new ride with all; to share my thoughts, opinions, etc. and seek guidance from the experts and learned. Why this new thread when others already exist? I will try to keep it neat & clean, and constantly updated (No. of edits will speak for themselves ), IN SHA ALLAH. Positive feedback, suggestions, need for improvement and healthy criticism is always Welcome (but do not spoil the thread). If I forget to mention something, please ask and if you have any question / query, again; feel free to ask (I will try to answer to the best of my knowledge & belief). FAW V2: I bought it in May 2017, in brand new, unregistered condition. It was one of the last batches of China assembled FAW V2, and fortunately / luckily, it never gave me any problems or headaches. The only reason for selling it was; MT (I have to travel daily for ~65-70 Kms (min.) from home to office and back, and during rush, stop-and-go traffic, I used to get severely exhausted, so had no other option other than to sell it). I sold it in October, 2017, just after 05 months of use, with odo reading of ~12,000 Kms. @ FAW V2 Assemblers: If you are reading it, please bring in FAW V2 with Automatic Transmission ASAP! There is dire need of it here. 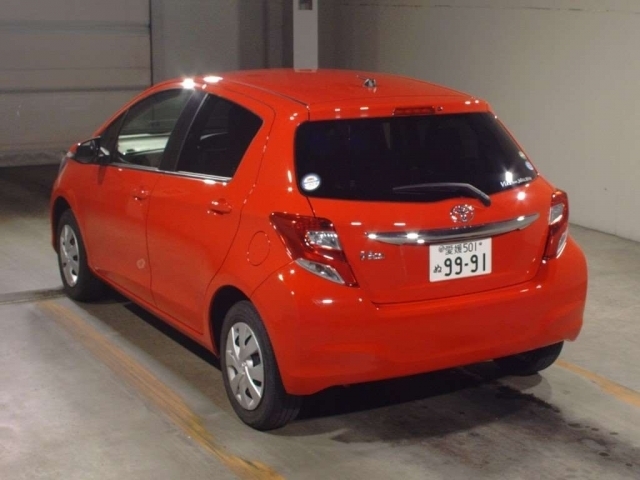 Toyota Passo: I bought Toyota Passo, X Package in October, 2017, just immediately after selling my FAW V2. I bought it from my colleague in office. It was 2013 model, 2016 import, and registered in September, 2017 (I was technically 2nd owner, but practically 1st). I bought it at 13.80 lac PKR, and sold it at 13.40 lac PKR after driving for almost 1.25 years. The auction Grade was 4.5 (B), and odo reading at time of purchase: ~22,000 Kms, at time of selling in January, 2019: ~47,000 Kms. With all my rides, it was extremely well-maintained. I had been in Shanghai, China from August-December, 2018. 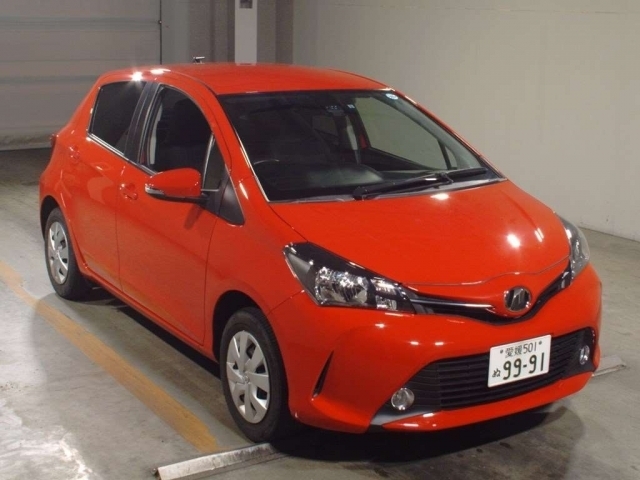 One day, I thought why not to upgrade from Passo to Vitz? (Technically, it is not an upgrade. 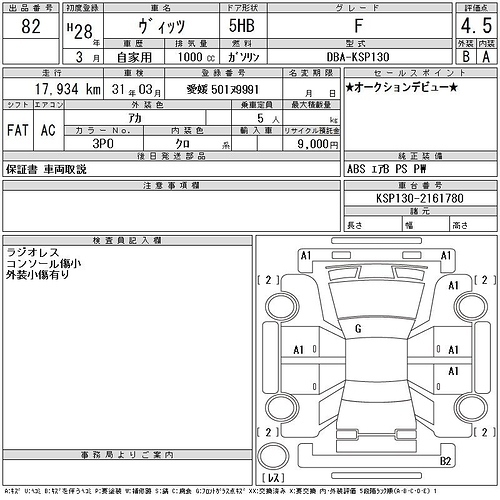 1 KR-FE, 1000 cc engine, and CVT transmission are almost same, which are the 02 main things). The idea came and I contacted Dr. Usman Nawaz (I came to know about him through one of my colleagues at office, however, I just came to know today that he is also a very reputed member here. JDM Time - Passo 2012, is his thread). I discussed my plans, everything with him and he guided me in the best possible manner about everything, one can! I imported my car through Dr. Usman Nawaz. He is literally one gem of a person; Very Honest and fair in his dealings; lots of respect and prayers for him. Now since I did not buy it from market or car dealers / showroom owners and neither did I had any plans, I did not face any difficulty. I always believe and advise everyone that in case of used JDM cars, always prefer to self-import one, however costly, difficult, etc. etc. it may seem. Well-reputed car importers are there, you just need to find them. At least invest on something on which you can rely with complete confidence and trust, and which proves trouble free in many years to come (provided it is kept well-maintained). Pictures and details available on website. Auction Sheet of my Ride! Only 01! Self-import through reliable importer! Auction Grade is your choice, as jitna gurr dalein gey,tuna hi meetha ho ga! 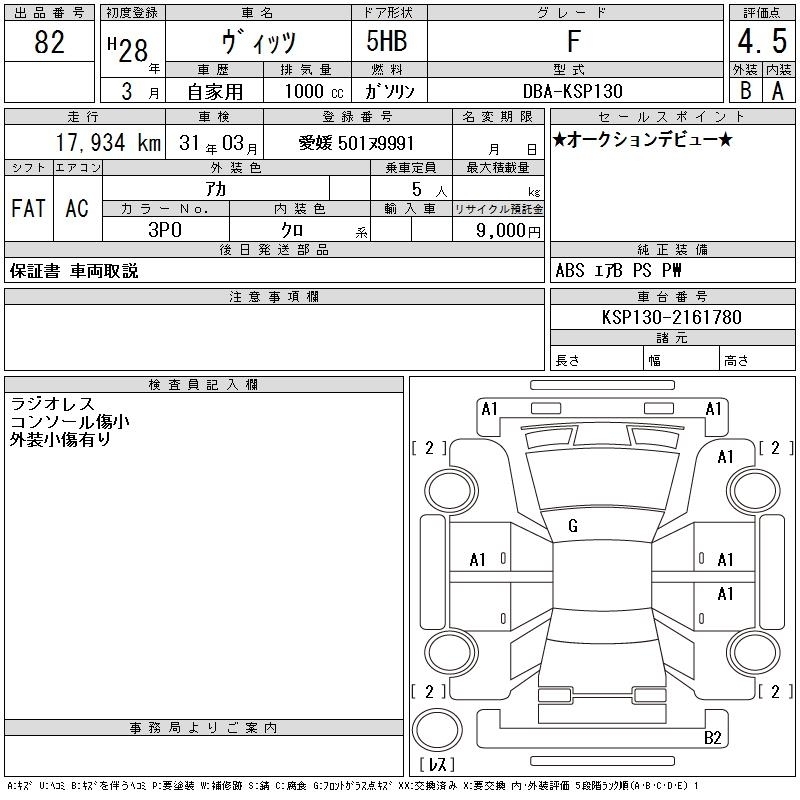 But when custom duty is same for 9 grade car, or RA / R Grade car, for same engine capacity, then then why not important a good and reasonable car, with auction grade at least 04? Thank you very much Sir for the kind appreciation! Mashallah brother. many congratulation I also bought the same car some days ago May Allah give you more and more. Jazak ALLAH and thank you very much for the kind appreciation and Best wishes! Stay Blessed. Coming towards the most important factor; Car Cost! 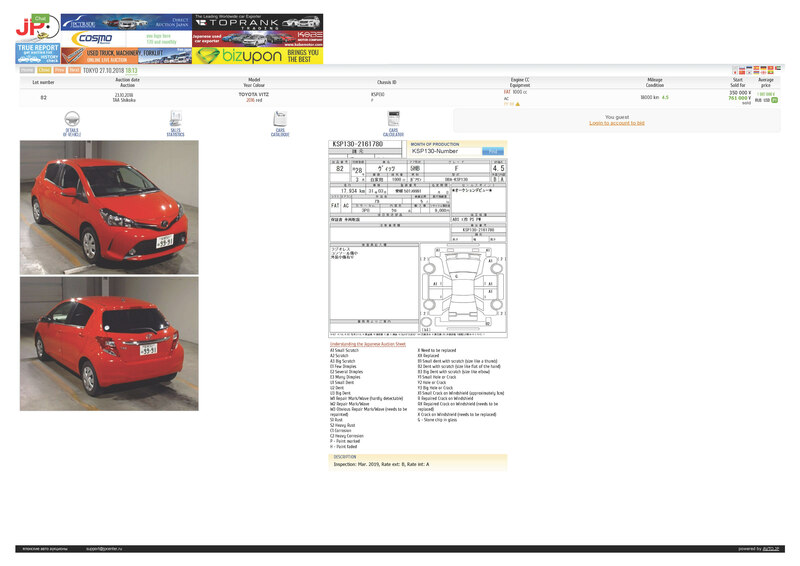 From above, you can very well imagine what is the true cost of self-imported auction grade 4.5 (B/A) 2015 Model, RED Vitz! If you choose for market k color ki car add 75,000 to 150,000 PKR more in this cost. I literally think, what is going on in the market? how can people claim and sell auction grade 4.5 cars in white color for 16.5-17.5 lac PKR? Since I made direct payment from bank to bank, I can not calculate the exact equivalent of 871,000 JPY in PKR. In my case, bank charges were quite reasonable (negligible to be precise), however, in case of Pakistan, I assume charges will be very high, if going through legal channel and proper means. Bank charges are involved, then conversion charges are involved which themselves depend on many factors. Every country, every bank has its own set of rules, and interbank transfer rate is also different from the rates you see on Google. So, the cost would have been more higher, if I had transfered money from Pakistan to Japan via bank! Online buying from Japanese auction house through bidding is also a sort of gamble or bet. Sometimes, the bids are high, and sometimes, the same vehicles get sold for quite less price (happens rarely, but happens. And I also observed it). It's also a game of luck! Similarly, the trend is different in the morning to evening, through different days in a week, months, etc. Generally, the prices are lowest from October to December of every year, so best time to buy is; end of an year!